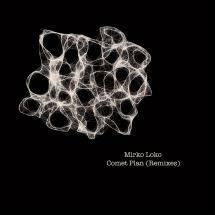 Swiss DJ & producer, Mirko Loko, continued to indulge in his intergalactic persuasions on last year’s long player “Comet Plan”. Released on Cadenza, Mirko’s second album was enthusiastically received and picked up many fans for its collection of blissfull and wide-eyed electronica and techno sounds. Featured guests on the album included dOP’s vocalist, JAW, and Francesco Tristano. 12 months on, and “Comet Plan” gets revisited and remixed by two stellar names from the electronic dance community. Sebastian Mullaert is well known for partnership with Marcus Henriksson as Minilogue, the Swedish duo responsible for killer albums & singles for the likes of Cocoon, Silver Planet and Wagon Repair. Mullaert plumps for a solo remix of “Venus” of epic proportions, split into two versions; “Phaze One” and “Phaze Two”. An organic trip through the cosmos, Mullaert tweaks and teases over two seductively trippy versions, showing us a master class in minimal electronics. Hailing from Dallas, Brett Johnson has become synonymous with masterful jackin house music via singles for Derrick Carter’s Classic, DJ Sneak’s Magnetic, Freerange and Visionquest. Brett tackles “U Special” featuring JAW, and turn in a very tasty Remix and Instrumental version. Soulful, spacey and groovy in equal doses, Brett delivers the goods in abundance on these mixes. A tight remix package that bows respectfully to Mirko’s original visions, and a timely reminder, to the uninitiated, to check out the album for further inspection.